John Richard Bond was born in 1950 in Toronto. In 1973, he obtained his bachelor’s degree from the University of Toronto and enrolled at the California Institute of Technology (Caltech) in 1974. He received his master’s degree in 1975 and his doctoral degree in 1979. His thesis supervisor was William Alfred Fowler, recipient of the 1983 Nobel Prize in Physics. Bond was a postdoctoral researcher from 1978 to 1981 at the University of California in Berkeley, and then from 1982 to 1983 at the University of Cambridge in England. He was a professor at Stanford University in California from 1981 to 1987 and then moved to Canada in 1985 to accept a post as professor at the University of Toronto. He became a member of the Canadian Institute for Advanced Research and helped establish the Canadian Institute for Theoretical Astrophysics. Bond specializes in the study of the structure of the Universe. His early studies focused on supernova explosions, neutron stars, and neutrinos. He also is interested in knowing whether the Universe consists primarily of the leftovers of stars, or of massive elementary particles. In 1980, he began to demonstrate (mainly in collaboration with George Efstathiou) that slight variations in the cosmic background radiation contain precious information regarding the shape, size, age and composition of the Universe. The cosmic background radiation is light energy that was emitted several hundred thousand years after the birth of the Universe when the first atoms formed. 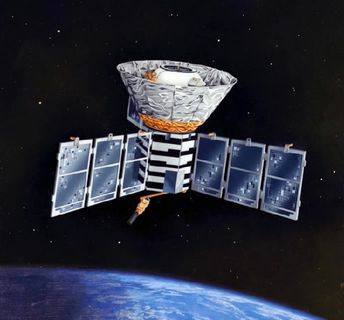 During the 1980’s, very few researchers believed that it would be possible to detect variations in the cosmic background radiation due to its incredibly old age of 14 billion years. However, in 1991, the COBE satellite (COsmic Background Explorer) did indeed reveal slight variations. Encouraged by these results, Bond continued to develop many sophisticated mathematical tools during the 1990’s in order to study these variations. He published many significant articles that established new rigorous standards in various disciplines or created entirely new research domains. Bond’s studies were so numerous between 1981 and 1997 that he was the most cited Canadian astronomer in specialized journals during that time (more than 3,000 citations). In 1996, he was named Director of the Canadian Institute for Theoretical Astrophysics. In 1998, the first Boomerang mission was launched above the Antarctic. 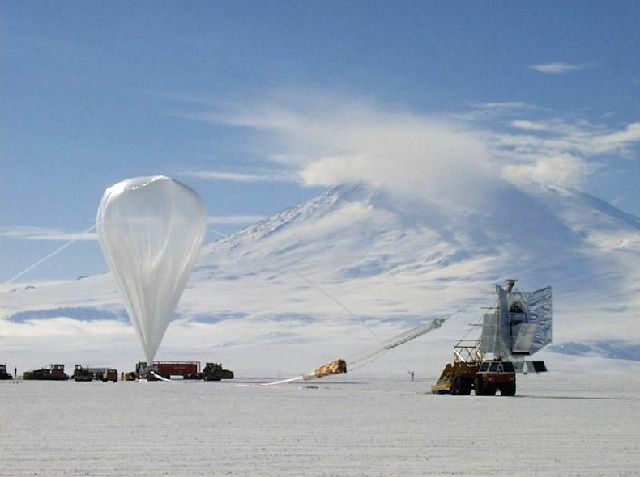 It consisted of a balloon that carried a 1.20-metre telescope (named Boomerang) to an altitude of 35 kilometres to avoid the terrestrial atmosphere that would interfere with its instruments. The data was used to draw up a new map of the cosmic background radiation. In 2000, Bond and several colleagues used the Boomerang results to demonstrate that the Universe has a planar geometry and to confirm that it is expanding. In 2001, Bond became director of research programs at the Canadian Institute for Advanced Research. Today, he tries to understand the cause of the accelerated expansion of the Universe, which is to understand the very nature of dark energy that Einstein first introduced in his theories as “the cosmological constant”. It is proposed that dark energy is a repulsive force that counterbalances and may exceed the braking force of gravity; it is the force that attempts to push the expansion of the Universe to infinity. According to Bond, it is possible that some small trace – some evidence – of the existence of dark energy could be found in the cosmic background radiation. Bond received (and continues to receive) numerous national and international awards for his work, including being elected as a member to the Royal Society of Canada. John Richard Bond explains what a theoretical cosmologist is. A theoretical cosmologist is someone who asks deep questions, beginning with the earliest moments of the Universe, by using the laws of physics or trying to discover new laws of physics that are encoded in the information we can get from either the early or later Universe. The major aspect of a theoretical astrophysicist is that he or she is a blend of mathematician, physicist, and possibly chemist, and one applies all of those tools to try and understand the nature of the cosmos. Because there has been so much data that has been gathered, and because we are asking questions that can best be probed by various ambitious experiments, theoretical cosmologists are increasingly involved in the analysis of the information coming from space or from telescopes. We are now becoming more of experimentalists as well as theoreticians, but the basic underlying feature is the use of mathematics, physics, and in aid of that, a heavy dose of computation.